This high QUALITY official manual for Daewoo Matiz 2003 is 100 percents COMPLETE and INTACT, no MISSING, CORRUPT pages, sections to freak you out! This manual is exactly as described. It is in the cross-platform PDF document format so that it works like a charm on all kinds of devices. 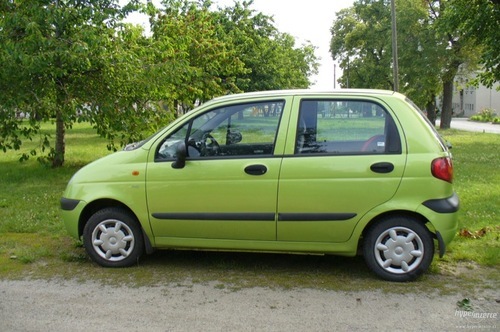 This highly detailed workshop service repair manual for download contains virtually everything you will ever need to repair, maintain, rebuild, refurbish or restore Daewoo Matiz 2003. All diagnostic and repair procedures and gives you access to the same information that professional technicians and mechanics have. You can view and print out the complete repair procedures with this workshop service repair manual Download - you do not need to be skilled with a computer. DW 140010A Fuel Pump Lock Ring Remover/Installer. Caution: The fuel system is under pressure. To avoid fuel spillage and the risk of personal injury or fire, it is necessary to relieve the fuel system pressure before disconnecting the fuel lines. 1. Relieve the fuel system pressure. Start the engine and remove the rear seat cushon (1). Remove the fuel pump access cover (2). Disconnect the fuel pump assembly electrical connector lock pin (3). Disconnect the fuel pump assembly electrical connector (4). Crank the engine for an additional 10 seconds. 2. Disconnect the fuel lines from the fuel pump. Disconnect the fuel outlet line (1). Disconnect the fuel tank return line (2). 3. Remove the fuel pump assembly from the tank. Install the fuel pump lock ring remover/installer DW140 010A. Turn the fuel tank lock ring counterclockwise (1). Remove the fuel pump assembly (2). Remove the fuel pump gasket (3). 2. Perform an operational check of the fuel pump. * Perform an operational check of the ignition switch ON the 2 seconds fuel pump operation.